Nowadays PE Protective Film applied in various industries. We can know its work flow as follow. Through blown film machine make the polyethylene particles into polyethylene film. 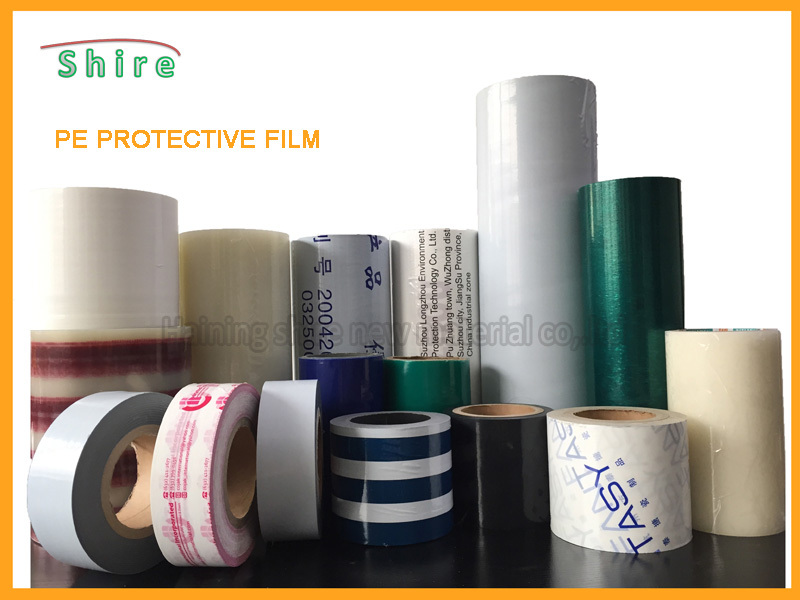 According to customer demand customize various thickness of the original film. Through Coating machine make the polyethylene film with glue, become PE adhesive protective film. We can get different viscosity by control the ratio of glue , from 10g to 200g. Different adhesive apply to different product, such as ACP panel, stainless Steel Sheet, glass surface and so on. Printing: As client demand printing Logo or any other. 1.Shire plastic have advanced automatic cutting machine. Meet the different needs of Pe Protective Film Customers. 2. Shire plastic offer multifarious packaging. Inside: PP core, PVC Core, Kraft Paper Core.